I hate how the show dubbed it "twilighting". I think that having twilight still freak out is important because it shows that anxiety isn't something one song can fix, but the way they handle it is making a joke out of it. Her worries in the Beginning of the End are 100% valid, she is being asked to run a Kingdom for Celestia's sake (lol get it?) , but her friends just brush her off. It would be way more interesting, and beneficial (this is still a kids show) to have her still freak out, but show her using more productive coping mechanisms. As anyone with anxiety can tell you, hyperventilating into a paper bag is not gonna help you. All I can say is that Pinkie is hardly funny anymore - and that's a big deal!!! I have to go back to S1-S4 to get a really good breathless Pinkie laugh on. Eh. Just saw this and have to say that I don’t like either vote option. I like most of the crew as individuals, and most of them obviously have talent. This is a question phrased wrong anyway. I guess I can say that my personal interaction with crew and staff has been overwhelmingly positive, and based on the established framework of the show they have acceptable to remarkable talent. If the art isn’t a mirror of the behavior I dislike, I am quite able to separate the art from the creator and have always enjoyed, and will continue to enjoy, work from questionable individuals. No issue there. @Moonlit Last actually looked surprised as she saw this greeting presented by Serenade. This were one that she knew somewhat well, as it were described in the shrine's old tomes as one used by their brethren faction before Princess Luna sent them towards the forsaken warzone of a shrine so many years ago. It were well documented as being the sign of somepony that one would have to be wary off, yet show some trust towards, as they too were among Luna's favored. Allies of the original six and their followers. To think that after a thousand years, members of those still existed were a surprising idea, mainly because apparently, one of their members now were a siren. Serenade must truly hold a lot of her majesty's trust to be given that honor, though what exactly that faction the siren had potentially joined were called, Last couldn't tell. It was somewhere in the tomes, but she had been more focused on remembering the look of the greeting, as it were required by them all, just in case an envoy came along. The actual name were more important for their leaders. No matter what the name were though, the only proper response to this would be to greet Serenade back the way that she and the others at the Shrine were taught to, bar tightly gathered groups, as to avoid accidents. She drew her weapon carefully from the scabbard with her muzzle, the white, pale magical flames licking on the blade not burning anything or even giving off heat, this were more to not make Serenade think that she were about to be attacked. Then Last tossed it into the air where it'd spin around to make the illusion of a white disk hanging from above because of the flames, then as it fell, she'd skillfully grab it by the handle with her muzzle yet again when it were about a meter above the floor, and strike towards the ground, stopping it around three inched before it hit anything. A strange display to most likely, but if Serenade were one of the Stalkers, or knew much of them, then surely she'd know about the fanatics too, and their greeting. Far less subtle, but their role historically, had never bee so either, and their own tomes had never been shy of that. In fact, they had been proud to point out how even the more vile things they had to do, were necessary, and proved their unquestionable loyalties to Princess Luna. Whatever tomes Canterlot had one them, were likely safeguarded because of that. Wouldn't want the dirty little secrets out now, would they? ============================================================================================= @Catpone Cerberus The zebra chuckled at the understandable concern in what Ruby asked. "The curse hits only those who would harm your kind. Such as the pony who owned this, which is why only ash were left behind." "He tried to kill another dragon?" "Emboldened by a victory barely won, he sought more fame and glory and went for another one. The blade held high over the dragon that slept, caused him to pay a long overdue debt. His ash and the jewelry he once stole were all that would remain, a grave reminder to his friends that dragons repay cowardice with flame. This blade is not one of it's kind, yet few are those who struck an elder dragon, and have been left behind. The few weapons who have done so are revered and kept close at hoof, yet fortune smiled when I foresaw one found by this feathered goof. I simply had to wait for him and you to both show up at this auction, then offer my service and see your reaction. You seem willing to deal, and your wound would soon heal, and no harmful magic hits you, which is mighty ideal. Only if it were used to cut you unwilling, but that is avoided with your approved in this fair dealing. So a cut if you will, and three drops to spill, just ignore the colors that will drop into the swill. I assure it it is only from that which falls as it flows down the blade's pointy range, the blood in your veins will not undergo any change. The fire though must be breathed with anger, so think of someone that you wish would burn forever, or drown tied to an anchor. Direct this rage, towards my cage, and remember not to fear, your flames won't come us near." She weren't kidding. If the flames were thrown, the cage would absorb it like a vacuum, and leave what would on the outside just appear as a regular lantern, though somewhat brighter. If the flame were not breathed with hateful intent however, the flame would flicker out and die shortly after. As for the three drops of blood, they would gain a slight emerald tint as they ran down the blade, but honest to her word, it would not affect Ruby in any sort of way. For that to have happened, it would have to be a forced cut. And in regards to the brew, it would absorb the drops, but not seem to change in any meaningful way for the time being. ================================================================================================= @Catpone Cerberus Fah'lina had flown up to the table as soon as she saw the stuff being spread around it, eager to know what t he contents were. The doughnuts certainly drew her eye, and she were making a short plan on how to steal one of them away for later consumption, until she opened the small bag with the nuts were in, and grasped around it, as to show that this belonged to her. That made it somewhat awkward when it were told who this were from, and what she had called her in the letter. The mimic did not enjoy being called things like this, and especially not by a nuisance like the mare had been. Yet at the same time, she Had just gotten a pretty nifty gift... Cautiously, the mimic took out one of the caramelized nuts and slowly chewed down on it, not sure if these were any good or in fact, perhaps even laced with something bad, yet after a few chews the suspicious look on her face got replaced by one that just shone of delight, and a little shiver went down her spine. If Berry kept giving her things like this, the two of them might end up getting along just fine, though she still weren't gonna share, and flew the bag up to the highest place in the room she could come. Nada didn't seem like she could fly high, so this seemed safe for now. Looking down whilst slowly munching on one of her treats, the mimic would observe what the siren did, now with the chance of Nada having her snacks stolen being greatly reduced. That did not mean however, that she wouldn't do something just to mess with Nada, but there'd be some degree of peace for now at least. ========================================================================================================== @Rising Dusk Thistle looked on curiously as she saw Rising work, unsure of what he were doing. In her time, detective work involved following tracks or magical links, but with Twisted having hidden himself well this time, and with the sort of time magic he used making it so that it'd be like he were never even here in the first place, this would not work. Looking around seemed the only option, and yet, Rising remained here, looking like he were searching for something that were not going to be found. It started to dawn on her what his idea were once she saw the hair he had found from the little pixie from before. Much as Teisted did well in shielding himself and his own magic use, what he had og time based magic were, generally speaking, personal. He could take or give time as needed, and manipulate his own, but he didn't have actual time magic where he could have other creatures undergo the same effects of seemingly not having been somewhere. Lily had been taught a small flicker of that magic to not be traceable, but this thing? Pixies did not have magic potential of this kind. It would be possible to trace, and with some luck, Twisted might not even think of that. Even if he did, they'd likely get an idea where to look before he cast some other cloaking magic that would hide the little one and changed location. Rising deserved more credit than she had given him it seemed. Seeing the little magical butterfly though, made her wrinkle her nose somewhat. It were not something she made mention off, and simply moved on to following the detective. "𝕋𝕠 𝕥𝕣𝕒𝕔𝕜 𝕥𝕙𝕖 𝕥𝕙𝕚𝕟𝕘 𝕙𝕖 𝕨𝕚𝕤𝕙𝕖𝕤 𝕥𝕠 𝕜𝕖𝕖𝕡 𝕤𝕒𝕗𝕖. 𝔸 𝕔𝕝𝕖𝕧𝕖𝕣 𝕥𝕒𝕔𝕥𝕚𝕔, 𝕥𝕙𝕠𝕦𝕘𝕙 𝕀 𝕨𝕠𝕟𝕕𝕖𝕣 𝕨𝕙𝕪 𝕥𝕙𝕚𝕤 𝕚𝕤 𝕤𝕠𝕞𝕖𝕥𝕙𝕚𝕟𝕘 𝕙𝕖 𝕗𝕖𝕝𝕥 𝕞𝕦𝕤𝕥 𝕓𝕖 𝕥𝕒𝕜𝕖𝕟 𝕨𝕚𝕥𝕙 𝕙𝕚𝕞. 𝕀𝕥 𝕙𝕒𝕧𝕖 𝕓𝕖𝕖𝕟 𝕒 𝕝𝕠𝕟𝕘 𝕥𝕚𝕞𝕖 𝕤𝕚𝕟𝕔𝕖 𝕀 𝕙𝕒𝕧𝕖 𝕤𝕖𝕖𝕟 𝕙𝕚𝕞 𝕔𝕒𝕣𝕚𝕟𝕘 𝕗𝕠𝕣 𝕒𝕟𝕠𝕥𝕙𝕖𝕣 𝕝𝕚𝕗𝕖 𝕝𝕚𝕜𝕖 𝕥𝕙𝕚𝕤, 𝕒𝕟𝕕 𝕥𝕙𝕖 𝕝𝕚𝕥𝕥𝕝𝕖 𝕡𝕖𝕤𝕥𝕤 𝕒𝕣𝕖 𝕙𝕒𝕣𝕕𝕝𝕪 𝕨𝕠𝕣𝕥𝕙 𝕤𝕚𝕕𝕚𝕟𝕘 𝕨𝕚𝕥𝕙. 𝔻𝕠 𝕪𝕠𝕦 𝕥𝕙𝕚𝕟𝕜 𝕚𝕥 𝕣𝕖𝕝𝕒𝕥𝕖𝕕 𝕥𝕠 𝕊𝕦𝕦𝕤𝕙𝕒𝕟'𝕤 𝕚𝕟𝕗𝕝𝕦𝕖𝕟𝕔𝕖? 𝕀𝕥 𝕚𝕤 𝕒𝕝𝕝 𝕀 𝕔𝕒𝕟 𝕥𝕙𝕚𝕟𝕜 𝕠𝕗𝕗, 𝕒𝕤 𝕙𝕖 𝕙𝕒𝕧𝕖 𝕟𝕖𝕧𝕖𝕣 𝕓𝕖𝕖𝕟 𝕒 𝕗𝕒𝕟 𝕠𝕗 𝕥𝕙𝕖 𝕗𝕝𝕦𝕥𝕥𝕖𝕣𝕚𝕟𝕘 𝕞𝕚𝕤𝕔𝕙𝕚𝕖𝕗 𝕞𝕒𝕜𝕖𝕣𝕤." Pixies were really more of a nuisance than anything in Harrowmark. Their magic was weak and mainly used for pranks and their small sizes meant they were useless for physical combat, so instead they just made life a pain for anyone unfortunate enough to having to deal with them. Stealing everything, luring ponies into the marsh, guiding one of the various wicker creatures to settlements, etc. The more you tried fighting them off, the more you just angered them, and the worse things they did. Unless you had a ward to deal with them and just ignored them from that point on, most just gave them an offering once in a while to leave them be. Fruit and a few shiny things - generally worthless stuff, as the pixies only cared about it being shiny and/or glittering - usually did the trick. ============================================================================ @EQ_Theta "Unless we're dealing with somepony who have openly attacked a town and there are hundreds of witnesses - including trustworthy guards or the princesses - there will always be enough doubt that a lawyer will be appointed to defend whoever is on trial. It's a good system in theory, where no innocent is judged by false statements, planted evidence, being in the wrong place at the wrong time, etc. Unfortunately, it also sometimes helps those who actually have done wrong get away on technicalities or shaky evidence. Again, no system is perfect, and since Equestria works on the idea that everypony should be given the benefit of the doubt, as well as second chances, this system is the best one can likely hope for when it comes to them. As for a lighter sentence, bite note in the part about second chances. As you've seen with Discord, Equestria prefers to rehabilitate criminals rather than keeping them perpetually incarcerated. This tends to be practiced in two ways. 1. 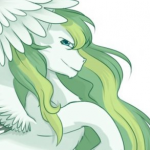 They will have somepony be judged and then placed in prison, from which point on they will be placed in programs, support groups, and so on, and when they think the individual in question truly regrets what they have done and are ready to be a productive member of society again, they will be released. 2. Community service and forced talks with counselors at least once a week until they can vouch for the creature to have become a changed being. This is more akin to probation, where if you start falling into old habits or don't come to the meetings, you're sent into prison and rehabilitation starts from there. There's some exceptions to this, like sadistic murderers, but generally speaking, this is how they operate. Also, regular talks with a counselor or guard is generally still mandatory for both after release for at least ten years, to keep track of the progress. It does give some repeat offenders who unfortunately doesn't get the point, but most will eventually be able to rejoin society, and do what they can to atone for what they have done. Those who doesn't... Well, there are harsher places to be serving your time, like Shark Bay. The Coast Guard headquarter have some less than pleasant cells compared to the regular sort, if the situation requires it. With how often they change general, that varies quite a bit." Seeing how often he had to deal with Equestria in one way or another, Rosa knew a good deal of how they worked, and he would admit that it mostly showed some good results. Still, there were ways to take advantage of it, and he had certainly near studied it to be able to do so, in case he got caught. Funny how now, he were more or less throwing himself into the prison system with actual remorse for his actions. How things had changed. "You don't need to know much of how it works though. If needed be, they will ask you questions related to the case, but I think they will mainly just debate it between the lawyers, and make me go up to explain my part in all of this, since most of the evidence brought against her were brought in by me. You two should mainly consider it a drawn out, confusing learning experience. Also, before you get ideas, do not mention how Scarcity got us further information. There won't be anything that will stick, she likely had some guards deliver the evidence as part of an ongoing investigation that they conducted themselves, and I would prefer not to have her view us as snitches. She is a problem solver, and I do not wish to be one of said problems." These two were good, generally honest beings, but in the real world, you had to consider certain boundaries to that, as well as how it sometimes served you better to keep less moral creatures on your side. It got things done, and everything ran better if you didn't try to meddle in this system. It had a habit of crushing those who attempted. ============================================================================ @Zephyr / Booker The doctor shook his head as he heard Zephyr's response. This were not any good, but it did make the likely culprit for his breathing issues pretty apparent. There still needed to be run some tests to make sure though, starting with a needle that floated down from the wall as the doctor listened in on Zephyr's lungs and heart. "Your breathing and heart rate sounds good currently, but you need to take better care of yourself, or the issues could become worse. However, to know if this is the actual issue, I'm going to need a blood sample. Do you have a phobia of needles?" He really hoped that weren't the case, as there were already enough potential issues here without him needed to extract a blood sample without a needle. It also made it difficult in case he had to give Zephyr an injection of any minerals he might be really low on. In the lobby, the Coast Guard would get a bigger smile as she heard that this were indeed the mare she had thought. She weren't acting anywhere near how the nurse had though. More like a regular being meeting a friend of a friend. "A few of my colleagues have spoken of you before. They say you're a pretty great musician, though I can't say I've ever heard something you've made. I'm more of a classical musician kin of fan. Oh, sorry, this must seem kind of odd coming from a stranger. I'm Officer Amazon Lily of the Coastal Guard. Pleasure to meet you." Amazon saluted at the mare, and moved a bit out of the way so that she wouldn't block the door. She wouldn't move too near Song though. As a celebrity, she'd surely be tired of everypony trying to get close to her, and Amazon weren't here to make her feel uncomfortable. "Well, normally anyway. On a forced medical leave for a few months, and I have to keep getting the surgical scars checked up on, but I'm still an officer of the law. Heh, sorry for babbling. Kind of been some... Weird days in Ponyville. Would it be okay if I asked you what you're doing here? I thought your band were a Manehatten thing mainly. And please, just let me know if I bother you. I don't want to ruin your day miss." She sure wouldn't mind a talk with another outsider though, and the others had kept saying how this mare seemed nice, so there was no harm in trying to strike up a conversation, right? She just shouldn't start trying to go fanfilly over this, which weren't so hard. All due respect to Song, but Amazon would far prefer to hunt an autograph from Octavia if any. That mare did the classical arts proud. ============================================================================ @Lucid_Nightlight Anomaly scratched her chin. These two were running a hard bargain, but she would get something through that'd be fun for her. This couldn't all be one-sided. "Only if his fire isn't regular colored. You pick another color, and I get to see him torch a tree. Then you have a deal." To represent her driving her own hard bargain, a toy train set would appear on the table, with the half-eaten taco riding in one of the carts, following the small train being driven by a mini-Anomaly, enthusiastically pulling the string to make *toot toot* sounds. If Pringle went to bash the cart with the taco in over or try to eat the contents, it'd count as acceptance too, instead of requiring a translator. Totally legally binding and everything. Maybe not just them getting out, but why they decided to get out in a first place might be more important, I think. During Season 4 and much (but not all) of season 5 they played down Twilynanas a bit and during this time I way more than a handful of comments lamenting her more reserved composure. They seem to have course corrected and made Twilight somewhere in between Lesson Zero and the current depiction. What we see in Seasons 6 and on is nowhere near the meltdown she had in Lesson Zero. This is characterization variant of YMMV when it comes to enjoyment of these quirks. It's been overdone since S8. It was cute when it came to the Hearth's Warming decorations, but when you're dealing with dire situations, like King Sombra or something, the panic takes away all the believable drama that could be. I'm doing quite alright. I hope your day will get better! I would take a deep breath, gather what I could carry (even if that included begging for it) then travel to all the places I've ever wanted to visit. I have to agree Twilight freaking out was much more entertaining and funny in lesson zero than in the Beginning of the end. 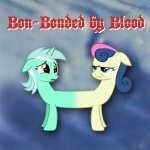 Come join us over at http://equestria.tv/r/cmc_clubhouse for Movie Night in just a few minutes! Tonight we watch Little Nemo: Adventures in Slumberland and Robin Hood Men in Tights. I'd sneak into someone's apartment and live in one of their cupboards like some sort of weird gremlin-like creature. I'd only emerge in secret to use their bathroom and to raid their fridge before scurrying back to my lair within my claimed cupboard. And on the day that I'm discovered, I'd hiss and jump out of the nearest window never to be seen again and will forever be recorded in the annuals of urban mystery. Outside of that. I'd just make the most of the situation. Maybe fulfil my brother's prophecy of me becoming some sort of mad person living on top of a mountain or hill somewhere, speaking in tongues at random travelers. But that being said, if I had no way back into society, I'd just become a forest dweller of some kind. When did Twilight freaking out (so called "Twilighting" by the show itself) became a thing? And why do we see her like it so often? Not in a context of her freaking out as a story, but her freaking out for the sake of freaking out. Is it because Lesson Zero got so much praise? I don't get it. If it's so, Lesson Zero's Twilight freaking out actually drove the story forward and brought the character the place where she wouldn't ever go otherwise. The Twilight's freak out I'm pointing out, that doesn't affect the story. Other ponies just calm her down and she moves on. Is it because the writers want to give her characteristics and flaws? If so, it's not so subtle especially when the show has to push it and meme it in a contrived manner. Is it the new cornerstone to establish the character? I think there are many better ways to show Twilight's character. Is it because It's About Time? Even if we saw her freaking out many times before, most of it was to drive the story forward or accentuate the theme (The Ticket Master), or it was genuinely an incident that anyone could freak out (Swarm of the Century). The point is, I don't want characteristics thrown in without considerations of the context. I used to think Twilight was more stable than most ponies and could function great under pressure and facing stressful situations. She often seemed more distant from the problem than most ponies would and could focus more on books and nerdy stuff she's interested (Look Before You Sleep). Twilighting might seem to make her "Relatable" by giving her obvious flaws, but it used to work for complimenting the story and the theme. I guess The Crystal Empire started this, but it's going on for too long. I don't see the point of constantly making Twilight hyperventilate whenever some big responsibilities occurs. It doesn't get anywhere and makes her look incompetent. Most of all, I got bored by it. They should make new interesting ways to show it or slowly get rid of it as she grows as an authority and gains competence. She felt more like an authority when she was guiding ponies in Ponyville in season 1-3 than now. Because she handled thing like a boss. Old habits die hard, it's what real peoples are like. But more important than any of that, is that MLP is a show. Remember Fluttershy being shy? They showed it over and over but it didn't bother me because they showed various ways of showing it and they utilized it as for making stories. If Twilighting is all of what she's got, it's also a bad news. I think Twilight is much more thank that and freaking out isn't her defining characteristics. A character should reveal themselves through the story, not as a duty protocol. They should have seen Twilighting and the fact that it's being accumulated enough to become a meme as a problem and tried to fix it, by making variations of it or changing the context of how it's used, instead of self referencing it. What do you think? Do you it fits the character of Twilight? Do you think it fits the story and the theme? Do you think it should stay the way it is or change? But it will make you stronger. I voted for the Mane 6 but, what if everypony worked together to save Equestria from the villain? Season 6 is my second favorite season it has so many great episodes like To where and back again, Every little thing she does, A hearts warming tale, No second prances, Gauntlet of Fire, The crystalling, The Times there are a changeling, Flutter brutter, Top Bolt, Viva Las Pegasus, the saddle row and Review, The fault in our cutie marks, Stranger than fanfiction, but also a lot of meh and bad episodes. Like 28 pranks later, The cart before the ponies, Newbie dash, PPOV, Apple Jacks day off, On your Marks, Buckball season, and Dungeons and discord. But what really makes season 6 great is Starlight she is the best part of season 6 and I love all her episodes. And the season 6 finale to where and back again is my favorite episode from the entire series.